The Holy Roman Empire has often been anachronistically assumed to have been defunct long before it was actually dissolved at the beginning of the nineteenth century. The authors of this volume reconsider the significance of the Empire in the sixteenth, seventeenth, and eighteenth centuries. Their research reveals the continual importance of the Empire as a stage (and audience) for symbolic performance and communication; as a well utilized problem-solving and conflict-resolving supra-governmental institution; and as an imagined political, religious, and cultural "world" for contemporaries. 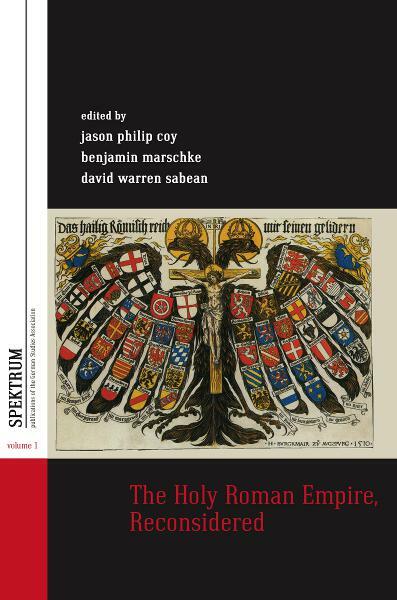 This volume by leading scholars offers a dramatic reappraisal of politics, religion, and culture and also represents a major revision of the history of the Holy Roman Empire in the early modern period. Jason Philip Coy is an Associate Professor of History at the College of Charleston, in Charleston, South Carolina. He has received a DAAD Research Grant and a Maria Sibylla Merian Fellowship for Postdoctoral Studies from the University of Erfurt, Germany. He is the author of Strangers and Misfits: Banishment, Social Control, and Authority in Early Modern Germany (2008). Benjamin Marschke is an Associate Professor of History at Humboldt State University in Arcata, California. He has held fellowships from the DAAD, the Fritz Thyssen Stiftung, and the Max Planck Institute for History. He has published Absolutely Pietist: Patronage, Factionalism, and State-Building in the Early Eighteenth-Century Prussian Army Chaplaincy (2005). David Warren Sabean is Henry J. Bruman Professor of German History at the University of California at Los Angeles. He has been the recipient of an Alexander von Humboldt Foundation Research Prize. He is a fellow of the American Academy of Arts and Sciences. His publications include Property, Production, and Family in Neckarhausen, 1700–1870 (1990); Kinship in Neckarhausen, 1700–1870 (1998). He is co-editor with Simon Teuscher and Jon Mathieu of Kinship in Europe: Approaches to Long-Term Development (1300-1900) (2007).